Krazed Wireless Gaming Mouse is an over-the-top parody of modern gaming mouses made to promote my new line of services for high-end motion graphics for commercials and ads, which are on sale for the time being. The idea behind this parody commercial was to make it fun and humorous, rather than take a fake product too seriously and make it boring to watch for those not really interested in gaming items. For the hand, I used a stock model, made by BlendSwap.com user, UP3D, and modified it to fit the campy tone of the ad. Please subscribe to my YouTube channel for more cool stuff or like us on Facebook and Twitter for updates and other promotions on upcoming stuff! It’s been forever since the last post and for a dang good reason! On top of all the other projects (both, secret and public), customer work and other awesome stuff I’ve been involved/working on, this has been a torn on my side for years and I’ve been wanting to make the 4 elements After Effects templates since forever but there’s always something that gets in the way. So I decided to make them this time, once and for all! Now, there are two interesting stories behind the Power Cubes and how they came to be. One, of course is how they got designed, but the other one is one that I developed and came up with while I was modeling on each one of the cubes; A mythology, if you will. So stick around and hit the jump to read them both and watch the templates in action! 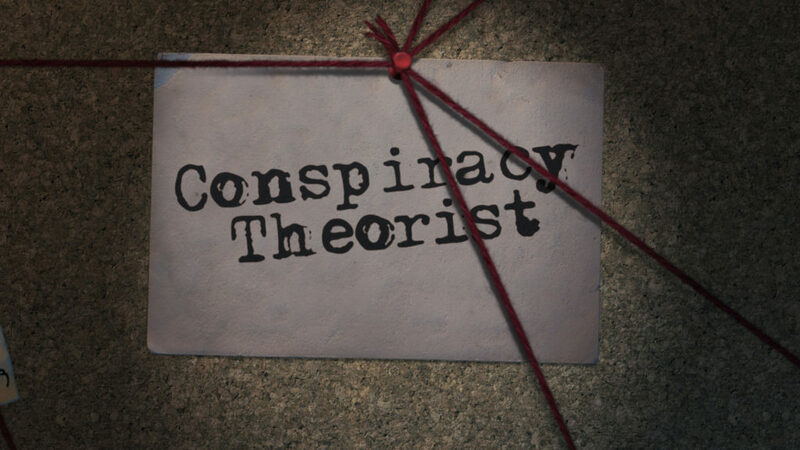 So… since last time’s conspiracy-themed After Effects template, I realized how much of its potential was wasted on a campy intro. Sure, it looks cool and all, but if you want something serious-er, it doesn’t quite work. So I decided to make a “serious” version, inspired by those those opening sequences at the beginning of conspiracy-themed films and tv series like the X-Files, Phenomenon: The Lost Archives, Fringe and others. It wasn’t just the fact that I love conspiracies and paranormal stuff, it was the fact that I really liked how that 3D effect could be accomplished inside After Effects without any 3rd party plugins and it’d still look good. So I devised a plan to create the entire template INSIDE AE. At first I wasn’t even sure it’d even work. Heck, I wasn’t even sure if it was possible to make it work AND be editable, so this was a “background process” in my head for days until I finally cracked it; From the right angle and the right speed, this thing could totally work! I’ve been using this technique for every single template I’ve done so far, although not for anything like this, but still, could it work? So basically what I’m rambling about is the thumbtacks. Clearly it’s the most obvious protruding object in this picture. If the thumbtacks don’t work, the whole After Effects template falls apart. So I made a few tests and it worked. This was the green light. The thumbtacks were the linchpin around which everything else was revolving around, so naturally, when THAT worked, everything else fell into place. After over 70 AE templates done, this one is, judging by the entire length and complexity of the composition, one of the most compact I’ve ever done. With only 40Mb of asset files and no third-party plugins needed. Hit the break to watch it in action! 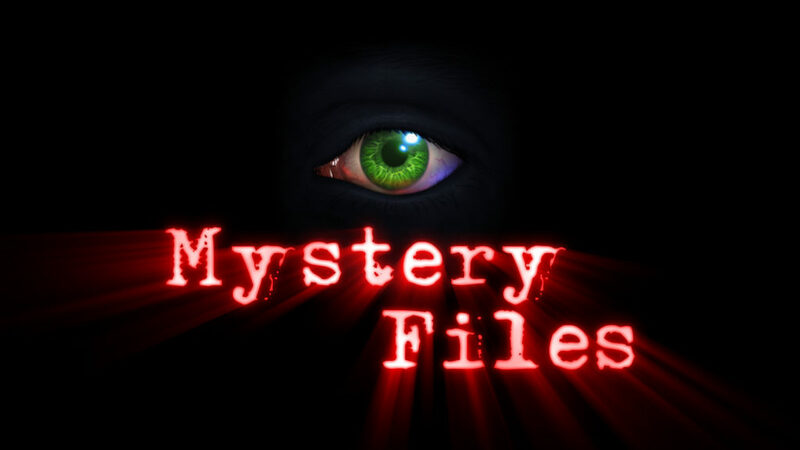 After Effects Templates: Mystery Files, Abduction, I see you and More! So anyway, I’ve been working on a series of really cool AE templates that, like Voltron, they all assemble together to form this one even bigger and more awesome template called “Mystery Files”. And what it is, is this 50’s/60’s style Sci-Fi kind of TV show intro that not only is mostly accomplished inside After Effects but it’s also modular! Meaning that you can move around the individual parts of this After Effects template and re-arrange them to create your own combination. And like I said, all of the elements inside this template are either rendered INSIDE After Effects or pre-rendered, which means that you don’t need any third party plugins to render this project! And yes, even though the file-size was a huge limiter for what we could get away with in this template in terms of editability, the parts that you can’t edit right away in this After Effects template are available with their own individual control panels in other templates. This is due to the fact that I couldn’t get away with cramming all of it into a single template because the combined file-size would’ve exceeded the maximum allowed in the template sites. Hit the break and watch this and a few other NEW templates in action! After Effects Template: Anatomically Correct Eye Looking Around! YES! In case you didn’t hear enough bad puns in the last After Effects template post, here’s another one! AWWW YISSS!!! And I know what you’re saying, “this one is ALREADY contained in Mystery Files, why the heck did you bother with another post! ?” Well, let me tell you, dear reader! The amount of work that went into this AE template is just too much to go unnoticed, so I thought it deserves its own post, ’cause reasons! And for starters, this After Effects template is fully rendered within After Effects. No. I am not kidding. This is 100% rendered inside AE. No plugins needed, no fancy schwancy programs, just good ‘ol After Effects native plugins and expressions. And it was no easy endeavor either. A whole lot more than you think went into making this thing. In fact, I had to undergo days of carefully studying eye anatomy to make this After Effects template work. Simple things that we take for granted had to be engineered from scratch inside After Effects to be procedural, for example: Have you noticed how the eye is not perfectly spherical and the cornea is actually bumpy? Well, when you move your eyeball to look around, that bumpy thing displaces your eyelids. And… that red thing where your tears come out of? It’s called a “Lacrimal Caruncle” , I didn’t even know that before I started working on this After Effects template! And have you noticed that your eyeball pulls and stretches the membrana conjuntiva around your lacrimal caruncle when you look to the side!? If you’re wondering, yeah, that has also been procedurally animated in this template, so all you have to do is move around a null and your eye will realistically (or as realistically as possible in After Effects) look around! Now with all the boasting out of the way, allow me to tell you all you can do with this After Effects template: For starters you can control the eye; Where it looks, what it looks at, how fast it moves, etc Not to mention the creepy factor! But say it looks too irritated or not enough, no problem! You can control the amount of veins and irritation. Not your eye color? NO PROBLEM! You can give it ANY eye color you want, it’s all procedural! Not enough neurosis? Pfffftttt! Make that eye twitch like it’s sending Morse code messages! And that’s not even half of it. This template has enough options to turn this eye into a character of its own! Hit the break to watch the eye in action! Well, yes. But look again. Notice anything strange? Yup. Exactly. This is not your typical Shatter Plugin template. In fact, I want you to pay attention to the borders of those glass shards. As you can see, they are molded to the shattered glass texture. In other words, there’s a custom-made shatter map. Meaning that someone (Namely your’s truly) sat there for hours making the shatter map by hand. So what is the whole point of this? Well, for starters, flexibility. What this means to you as the user of this After Effects template, is that you have 100% control over how that glass breaks. Maybe not in the immediate control panel, as this template was designed for that that specific logo stinger. But if you are savvy enough with After Effects you can turn this shattered glass template into basically ANYTHING involving breaking glass, since this is a 3D effect. Logo Reveal After Effects Template: An MiB Christmas! Two Logo Stingers! It’s CHRISTMAS TIME FOLKS!! And you know what that means! Santas, crowded malls and what not yay!!! Well, here at Nevermore Motion Graphics, I have the Christmas spirit too and to celebrate I this logo reveal After Effects template. Thing is, when I finished it, I had a deep creative itch to scratch, so I made a second one! Snow Globe is a Christmas-themed logo stinger AE template, the snowman is pre-rendered, as is the glass ball that contains it, BUT you can position it wherever you like. The letters are tubular and three-dimensional, so you can animate them (instructions in Readme file) and spin them – to a certain point – you really don’t need ANY plugins for that, the 3D text is completely procedural. The lights change and update with only two controls. In this case I’m using only green and red, but you can use whatever colors you want! Oh, did I mention you can change the color of the scarf on the snowman? Yeah, you totally can! Galaxy Marble is Men in Black-inspired logo reveal After Effects template. If you don’t know what I’m talking about, watch MiB and see the ending of the first movie, there’s a Galaxy inside a Marble kinda thing going on. But, plot twist! NO, this AE template was not based on MIB’s ending. It was in fact based on Video Copilot’s “Galactic Orb” tutorial. This was sort of a tribute to that tutorial. ‘Cause you see, when I found that tutorial, I already knew how to do that, but I still wanted to do it, because Andrew made it look so beautiful, so I decided to make an AE template about it, except using my own technique, to give it MY OWN spin. For the interior of the glass marble I used an older logo reveal After Effects template of mine as a base, (except rendered from a slightly different angle). In the end, the result was quite similar to the ending of the first Men In Black film, which I’m sure was Andrew Kramer’s original intent when doing his version. So I guess it all comes full circle? Hit the break to view both templates in action! And as always, if you like my work, don’t forget to subscribe to my YouTube channel or like my Facebook page for more updates! Ancient Egypt has always been a subject that fascinated me deeply. The dark corridors of the great pyramid, full of mysticism and mystery… So why not make an After Effects credits template based on it? 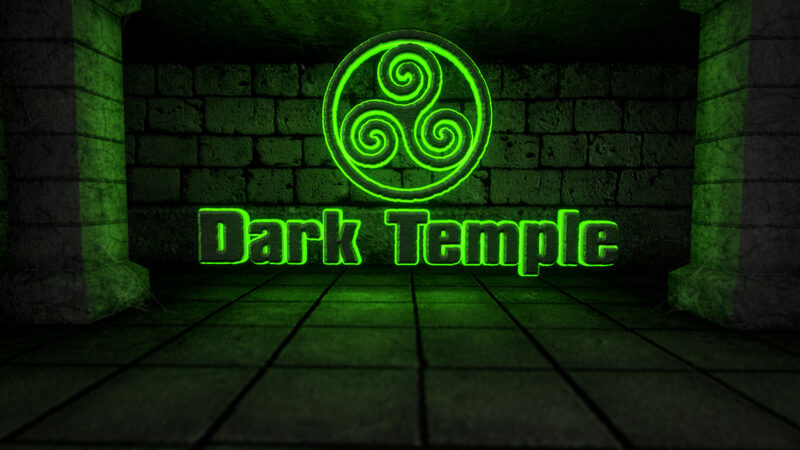 This is how Dark Temple came to be. And it wasn’t exactly a walk in the park either. Rendering this puppy took ages and I wasn’t even able to do so in its full capacity. Should I’ve done that, this render probably would’ve taken close to a month. And that’s largely due to the fact that the texture maps were massive and the model of the pyramid corridors was huge. Now, putting this together as an After Effects credits template wasn’t an easy feat either. Many challenges had to be overcome and the biggest one was the fact that the sites that host my templates have a 4 gigabyte limit. This template, in its infancy was 6. So I had to optimize the ever-living daylights out of this thing while still maintaining it customizable and interactive, while still keeping the same quality. Now, speaking of customization, you have up to 25 taglines/messages that you can change, plus you can change the color of the text, logo and runes on the walls, too. Now, you don’t HAVE to use taglines or text, you can put ANYTHING you want to in those placeholders. The music for this After Effects credits template is an oldie but goodie in my personal library, called Apocalyptic Genesis, which is a salsa-electro fusion, which I thought would look fantastic here despite the fact that it doesn’t fit all too well with the whole Egyptian theme. Hit the break to watch the template in action! 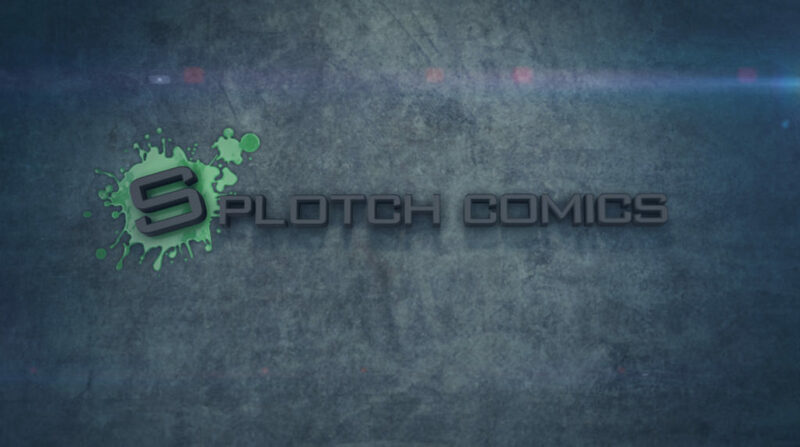 This nifty little video is the motion graphics logo intro for a comic company called Splotch Comics (Visit them at SplotchComics.com). I was contacted not too long ago by the owner to make an intro for their YouTube channel and after a bit of discussion and idea throwing of how the animation should look, I came up with the above design. This intro was made using Element 3D and Adobe Photoshop and was relatively simple, so no fluid simulation was involved. So how did I achieve that cool green splat? Well, the answer to this conundrum was an animated normal map combined with stock footage of a blood splat colorized to match the color of the logo splat. It’s a relatively low-tech solution to a complex problem but the results speak for themselves. No curve manipulation was employed either, this was the result of cleverly using lights to light up the scene, making the shadows blue-ish with a fill light and the highlights a pale yellow with a key light. The final result is a cool-looking motion graphics logo intro made on a budget. Hit the break to watch the video in action! 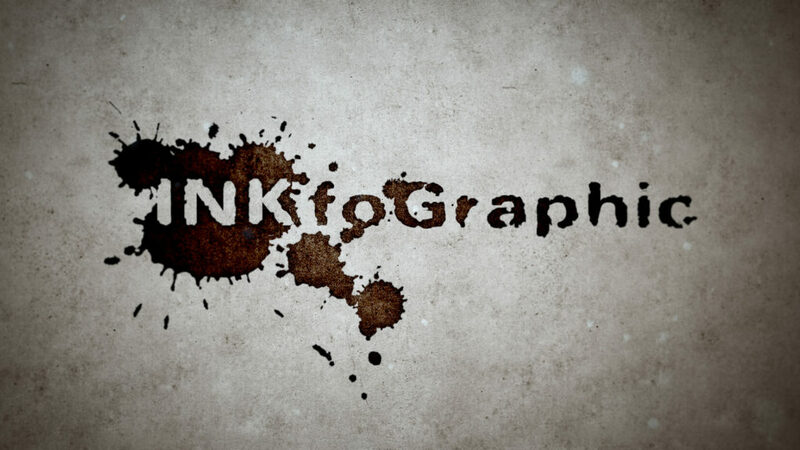 INKfographic is my very first infographic-style intro After Effects template, made as a followup to another very popular best-seller I have called Dark Ink. The effects are slightly less distracting and more subtle than in Dark Ink and that’s on purpose, so people can pay the deserved attention to the information shared. This After Effects template is quite versatile and can be used for almost anything, because it gives you the flexibility to move all the assets around and position them just the way you need them, so you can have an Infographic, or a cool cinematic intro for your film, podcast or even a trailer. Most of the assets are rendered withing After Effects, so you can easily change many of the parameters to suit your cinematic needs. The only element that is pre-rendered is the particle field, which is barely noticeable, so if you have the need to change the camera movement or depth of field settings, you can do so. Hit the break to see the template in action.